The album was successful, and produced several hit singles (particularly the debut single “My Brave Face“). After the meagre sales that greeted Press to Play, McCartney realised that he needed to work much harder on his follow-up. Thus, he not only teamed up with several different producers, but also spent the better part of 18 months perfecting Flowers in the Dirt. A highlight of the sessions was McCartney’s productive alliance with Elvis Costello, with whom he composed many new songs. McCartney greatly enjoyed the new partnership, even finding that Costello mirrored John Lennon in certain aspects of his personality. Costello would also appear on the album, even co-singing “You Want Her Too” with McCartney. Another celebrity guest included was his friend David Gilmour from Pink Floyd, who plays the guitar on “We Got Married“. On “Put It There“, McCartney used an old Buddy Holly trick, the knee-percussion, that McCartney recorded on the same day as the backing track. Knowing full well he intended to launch the biggest tour of his career thus far, McCartney also put together a regular band to take out on the road, and who would appear in various forms on Flowers in the Dirt. Hamish Stuart was best known for his tenure in Average White Band, while Robbie McIntosh had been a member of the Pretenders. Filling out the sound would be Chris Whitten on drums and Paul “Wix” Wickens joining McCartney’s wife Linda McCartney on keyboards. Finally, early in 1989, the project was ready for release. In May, the Beatlesque “My Brave Face” was released as a single and promptly gave McCartney a US hit, reaching number 25, while reaching number 18 in the UK. In June, Flowers in the Dirt was released to high anticipation and immediately entered the UK charts at number 1, garnering very positive reviews from all around. In the US, the reaction was better than Press to Play, with the album reaching number 21, staying on the charts for a year and going gold, though it still sold beneath expectations. The second single, “This One“, also reached number 18 in the UK. The follow-ups “Figure of Eight“/”Où est le Soleil?” and “Put It There” would all be minor UK hits. 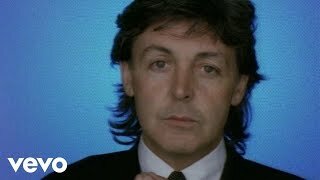 The Paul McCartney World Tour opened on 26 September 1989 and featured concerts in North America, Europe, Japan and Brazil until the following July. The album cover artwork was photographed by Linda McCartney. The background canvas was painted by the British artist Brian Clarke, who was also responsible for designing stage backdrops for the world tour. A limited-edition “World Tour Pack” of Flowers in the Dirt, sold in a facsimile trunk, was issued in Britain in October 1989, and America (with British catalogue numbers) in January 1990. The set included a bonus single of “Party Party” (mixed by Bruce Forest and released on a one-sided 7″ single in vinyl editions of the “World Tour Pack” and a 3″ CD-single in compact disc editions of the “World Tour Pack“). In March 1990, another limited edition of the album that featured a bonus disc was released exclusively in Japan and re-entered the country’s chart. A remastered CD was released in 1993. Another reissue has been announced for release, as part of the Paul McCartney Archive Collection.